It appears to be a statement of the blindingly obvious, but British Gazette readers will know that atmospheric pressure is a factor in the weather we experience. British Gazette readers may be surprised to learn that it seems that in their calculations, the so called “climate scientists” who think that the CO2 produced by the Range Rovers (aka Chelsea tractors) driven around Sloane Square are heating up the planet have not taken this into account. One would hope that a government minister receiving any advice from these characters would ask about this. However, we have a Climate Change Secretary called Mr Ed Davy. Enough said. 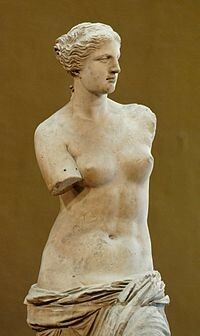 Dr James Hansen of NASA, a climate alarmist, has claimed that if we continue to burn fossil fuel we will end up like Venus, above. I gather he is recently retired. Maybe just as well. 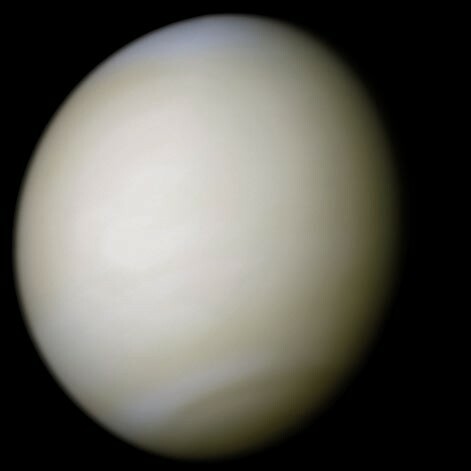 Four billion years ago this planet did indeed have an atmosphere like Venus: >95% CO2 at 100 atmospheres pressure and no oxygen. But since then the trend for CO2 has been rapidly downward as CO2 was sequestered into limestones, organic life where the carbon was extracted and laid down to make fossil fuels: coal, oil, gas). 2.4 billion years ago the atmosphere was still very high in CO2. We know that because of very ancient barytes (Barium Sulphate) deposits contain additional CO2 which must have been forced in by pressures in excess of 60 atmospheres. Around one billion years ago atmospheric CO2 was at 35% yet the earth plunged into ’snowball earth’ where ice extended to the equator. This incidentally makes the claim that CO2 causes warming look rather absurd. After the Cambrian Explosion, life flourished drawing more and more CO2 down into the biosphere, sequestering much of it in the coal deposits. The removal of CO2 caused the atmospheric pressure to also drop, so that by the time of the dinosaurs atmospheric pressure was nearer three modern atmospheres: this enabled the pterosaurs to fly – something they could not do today. Now CO2 levels stand at 0.04%. This is nearly the lowest it has ever been and is potentially dangerously low – plants are beginning to ’struggle for breath’. If plants die off – we die. The more CO2 that goes into the atmosphere the better for the planet’s ecology, including ourselves. The current tiny rise over the last couple of centuries is trivial (humans being responsible for perhaps 4% of it) and probably caused by deep ocean warming during the Medieval Warm Period – it takes oceans several hundred years to respond by out-gassing CO2. So just how could the earth become like Venus again and bring on the fate Dr Hansen so fears? First, all the limestone and other carbonates and all the fossil fuels on and in the crust and mantle must be burnt, turning limestone into lime and CO2 and fossil fuels into water and CO2. This would take many millions of years working round the clock and doing nothing else! Second, all the water on the planet must be removed – and I mean all of it – including that currently sequestered in minerals as water of crystallization. Third, having achieved all this (and somehow survived), we must move the planet from its current orbit of some 90 million miles from the sun to a mere 66 million miles. Oh, and stop the earth rotating as it does and put it into reverse to rotate very slowly backwards. Then, and only then, could we conceivably end up like Venus.